If you are a parent of a child whose birthday is between 1st September 2014 and 31st August 2015, we warmly invite you to an open evening on Wednesday 17th October 2018, 6pm. You will get a chance to learn more about Ashleigh and see what we can offer as a school. If you would rather visit during school hours, we have a number of open mornings and afternoons planned. 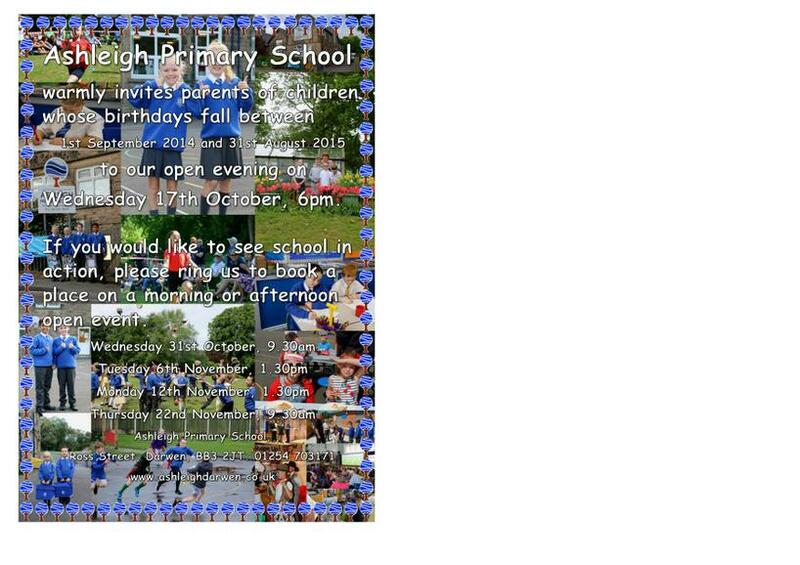 If you would like to book a place at one of the open mornings/afternoons, please give school a ring on 01254 703171.